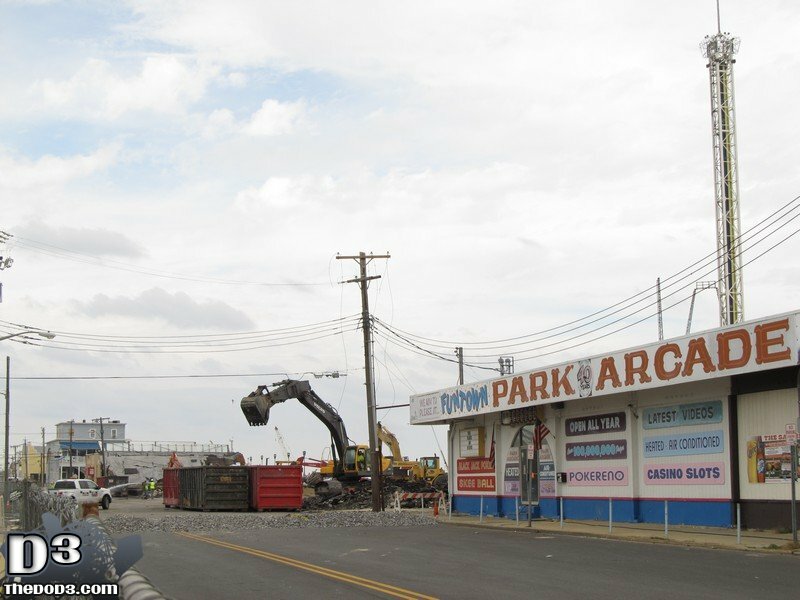 I took a trip down to Seaside for the first time since the September 12th fire that destroyed the southern end of the Seaside Park boardwalk. 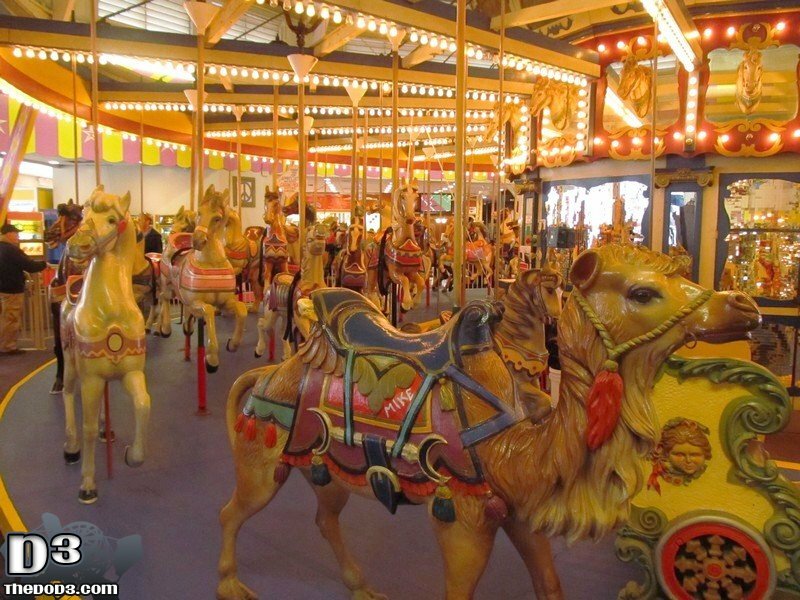 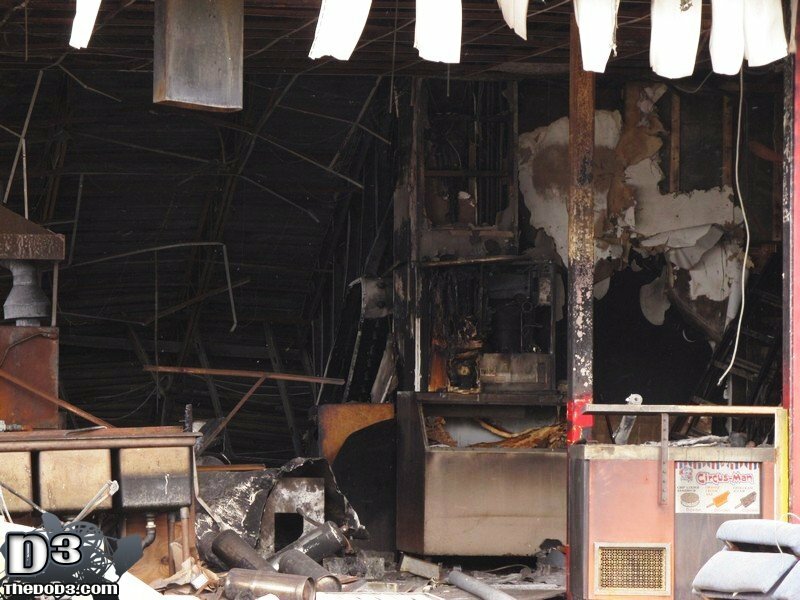 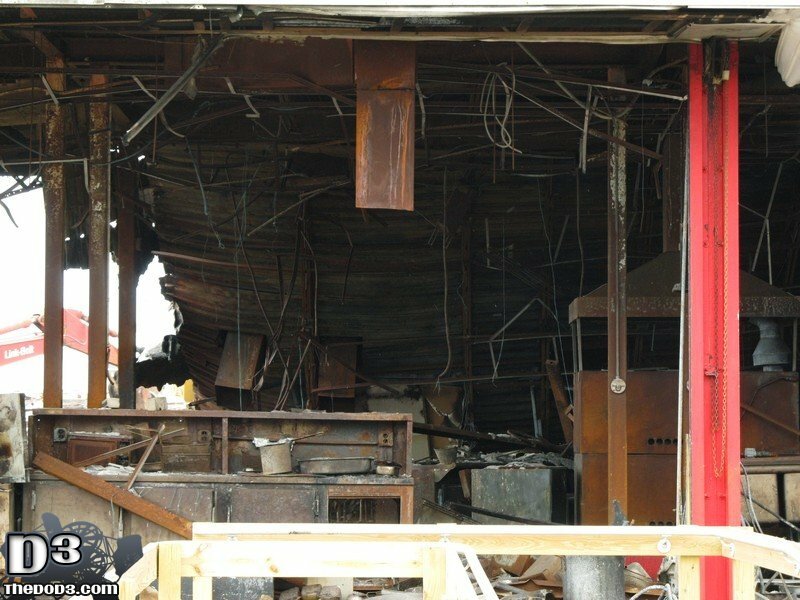 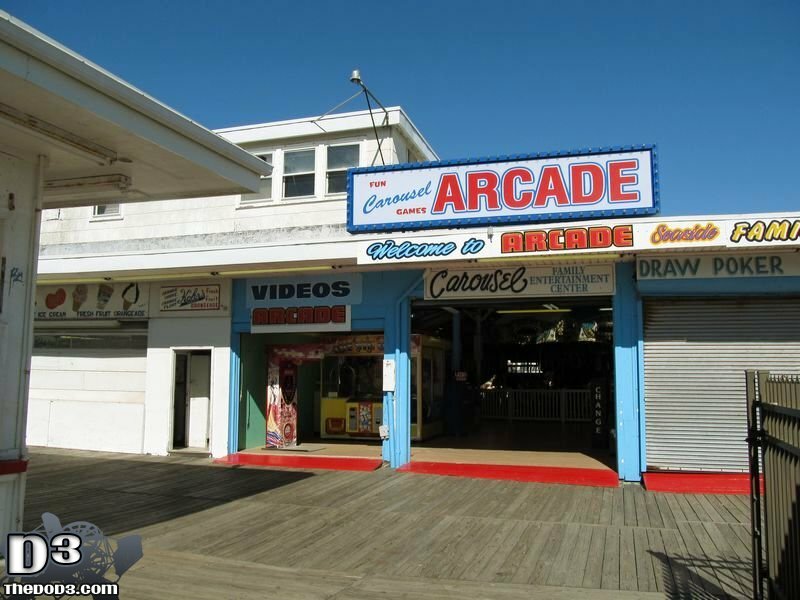 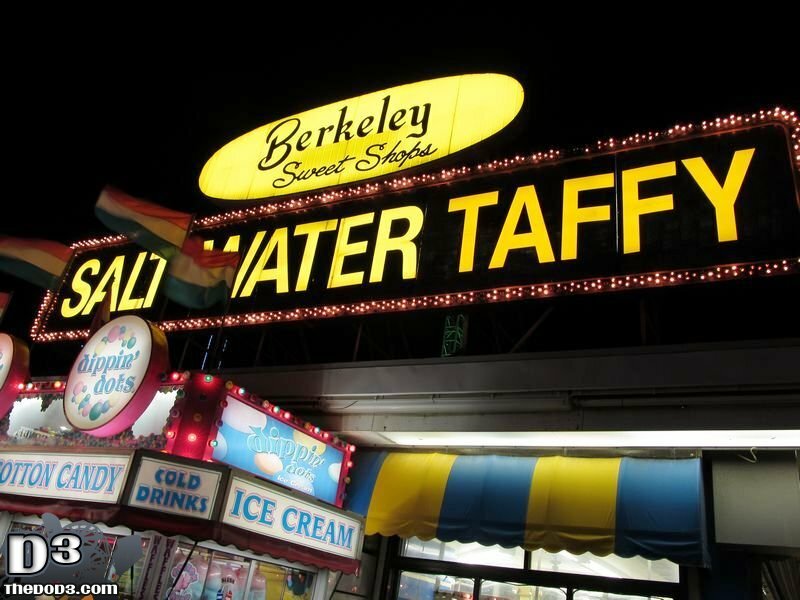 It was reported that the fire started underneath the boardwalk and was due to faulty wiring. 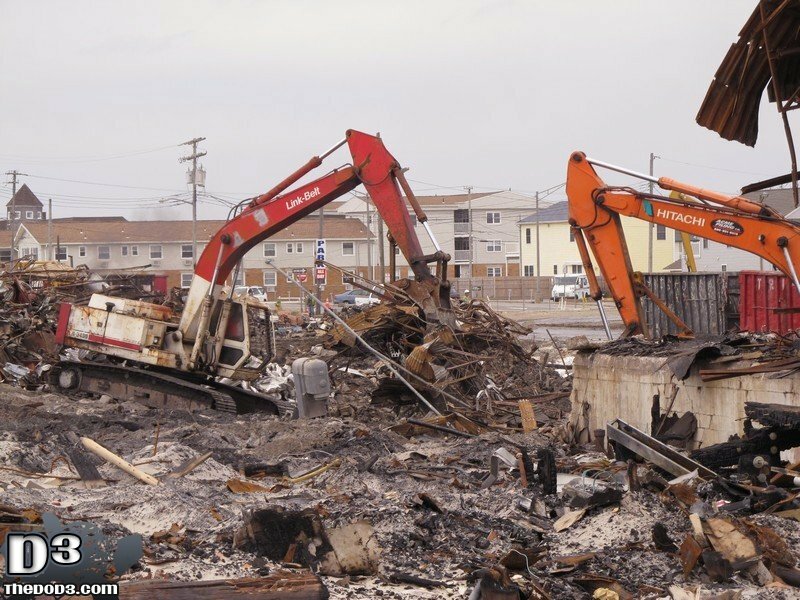 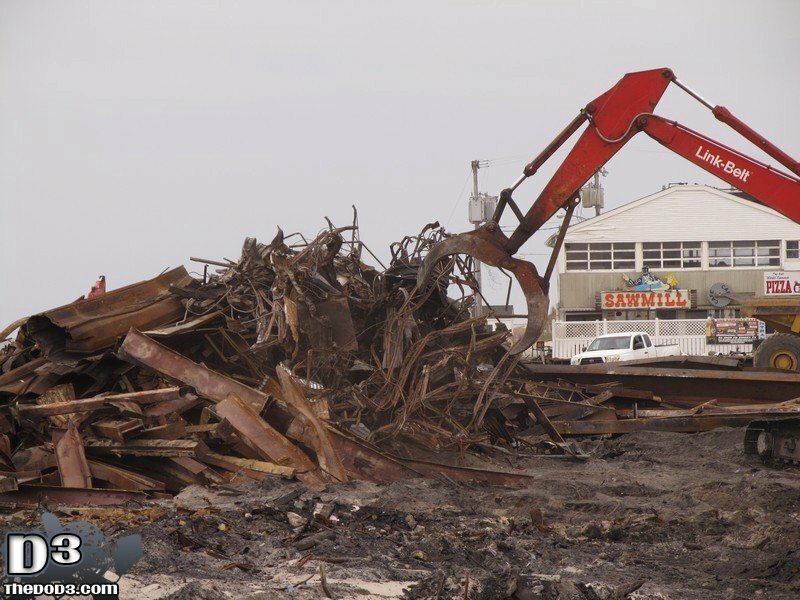 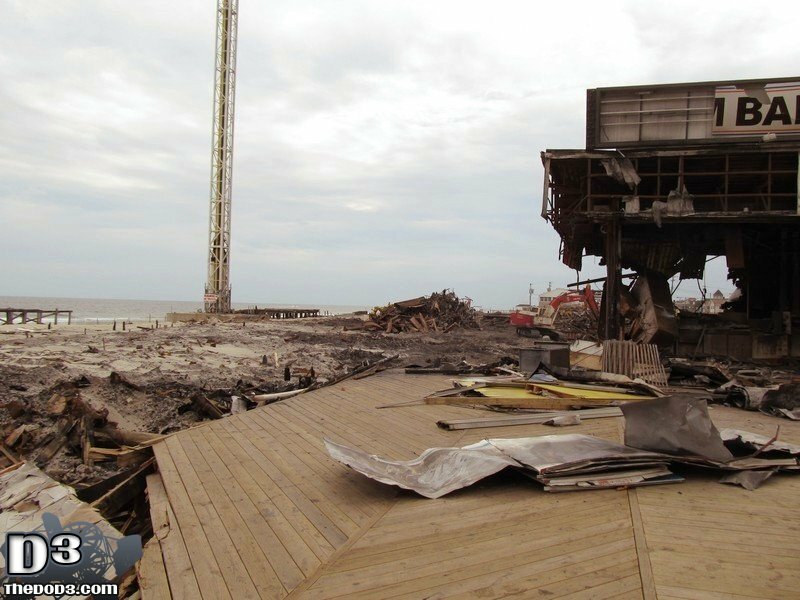 the fire spread quickly northward and onto the former Funtown Pier location and only stopped after a pair of firebreaks were made in the boardwalk. 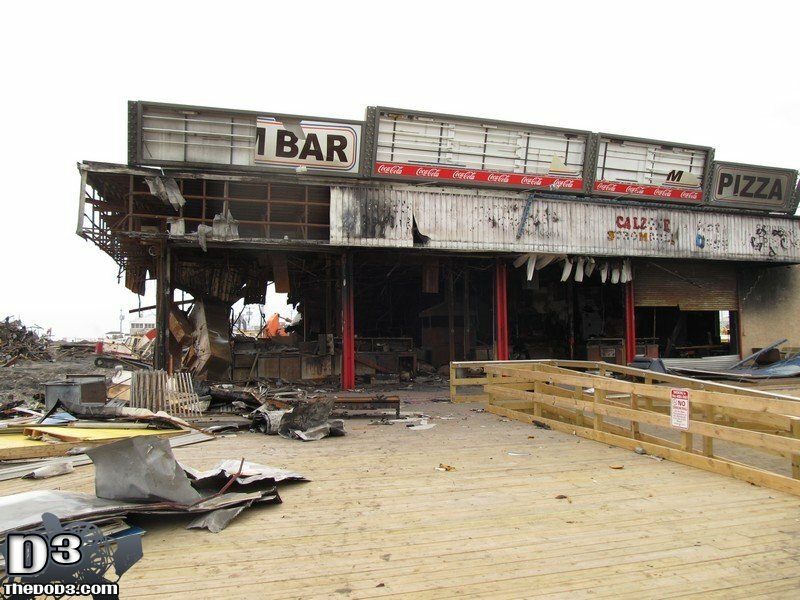 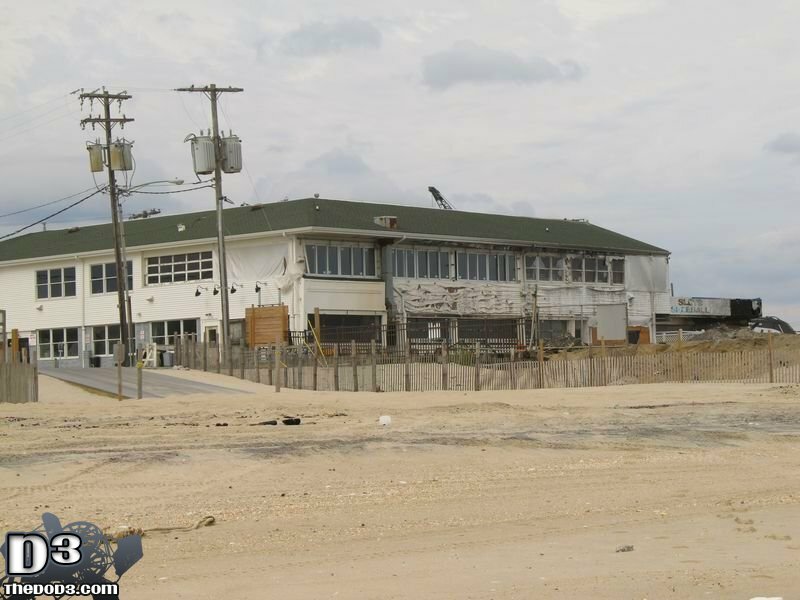 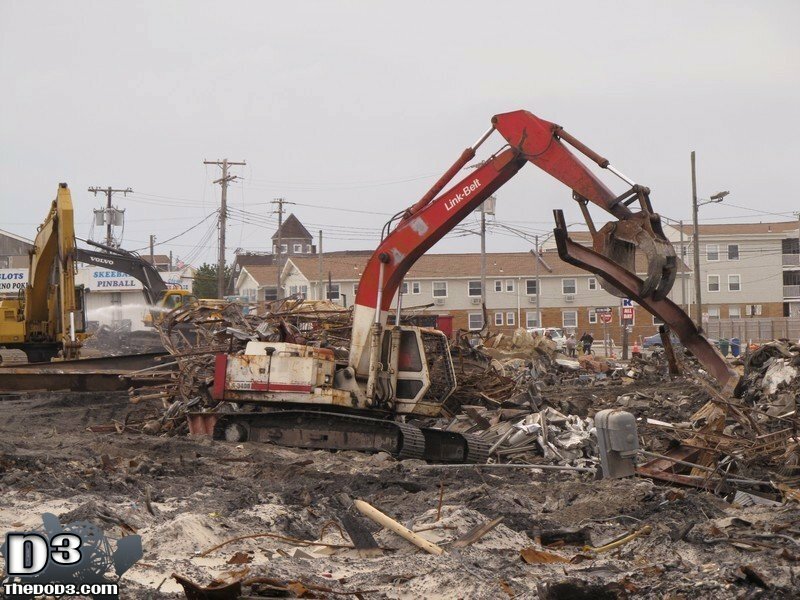 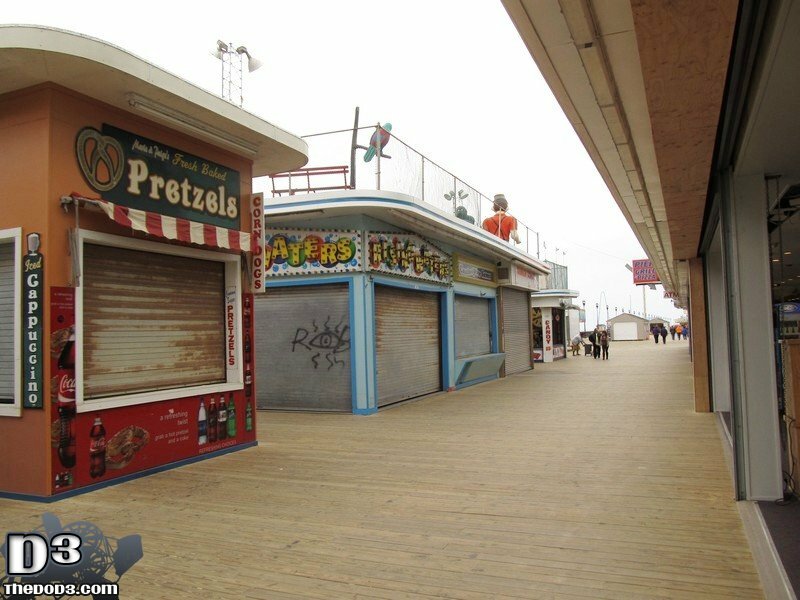 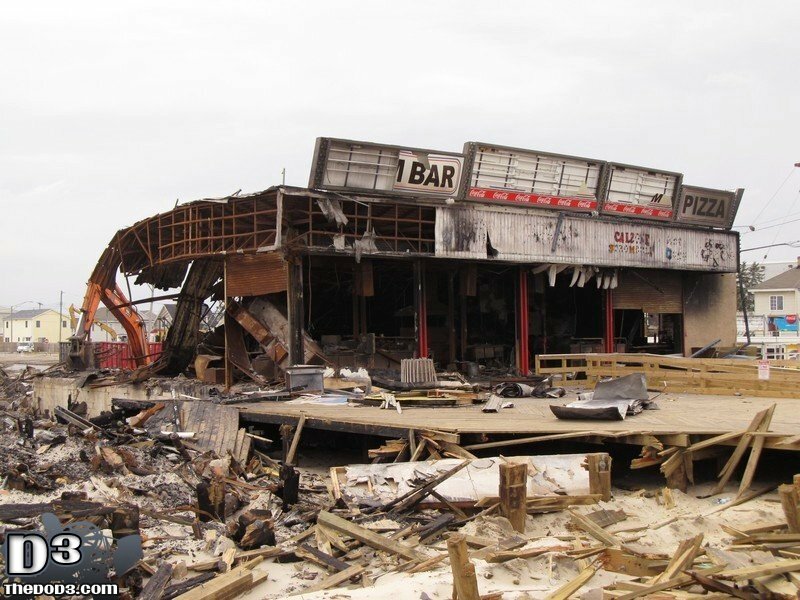 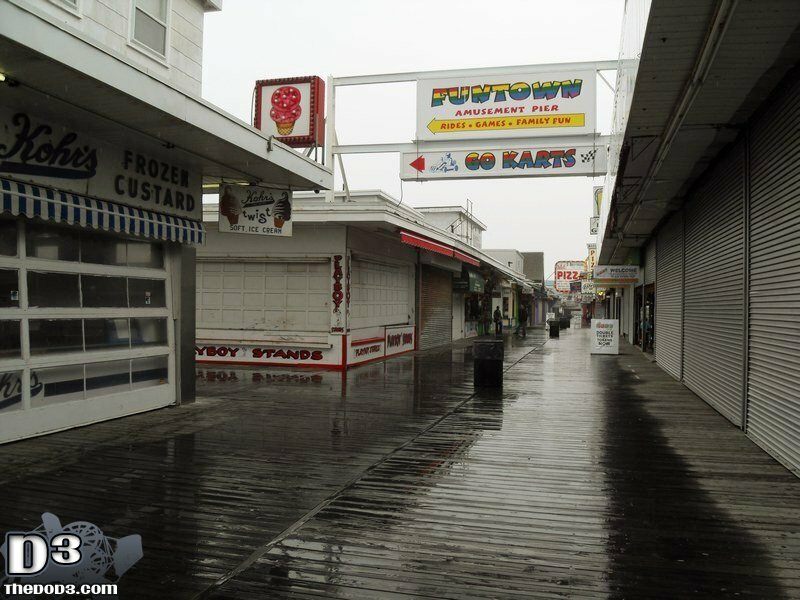 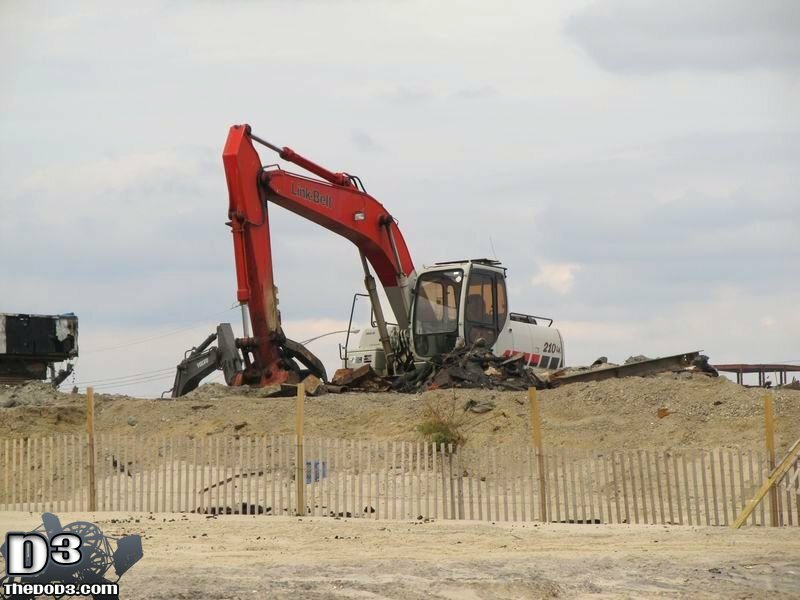 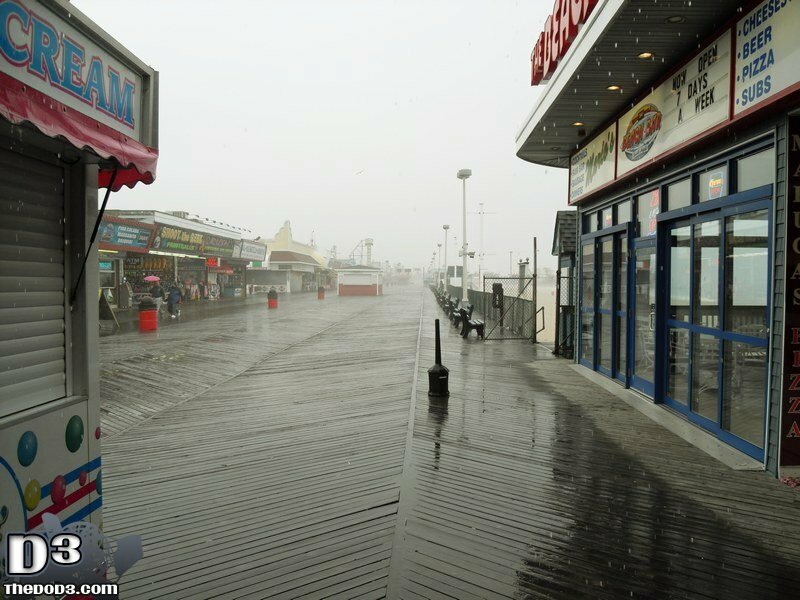 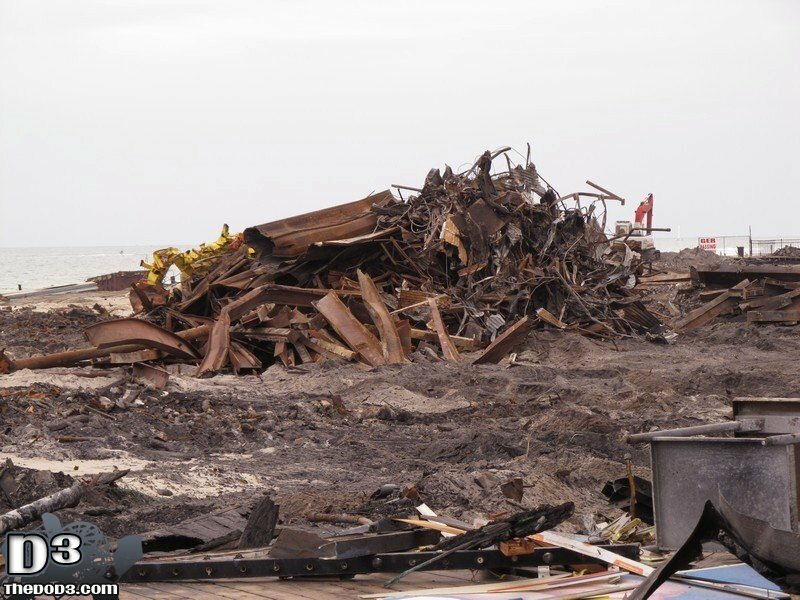 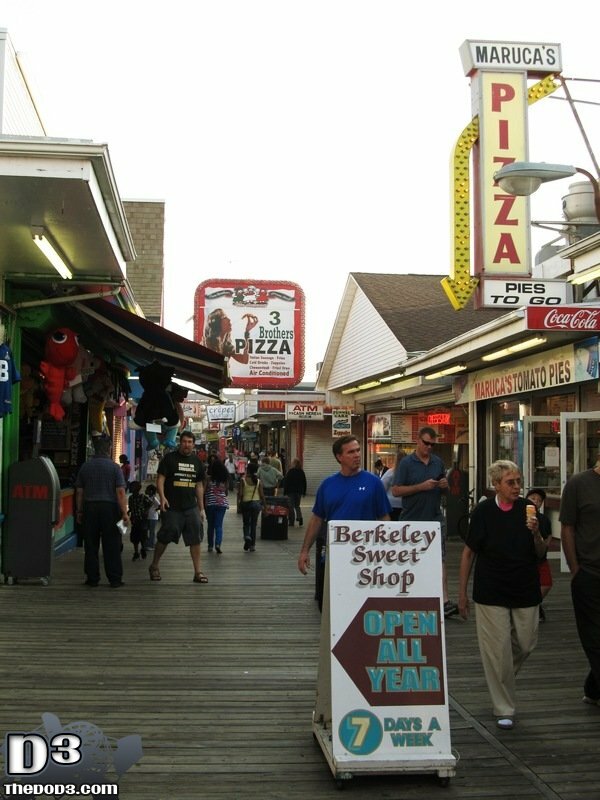 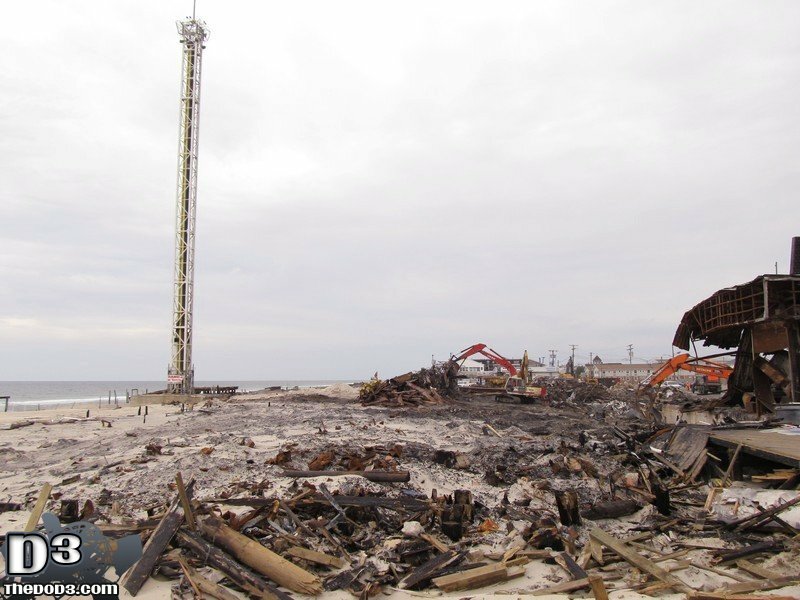 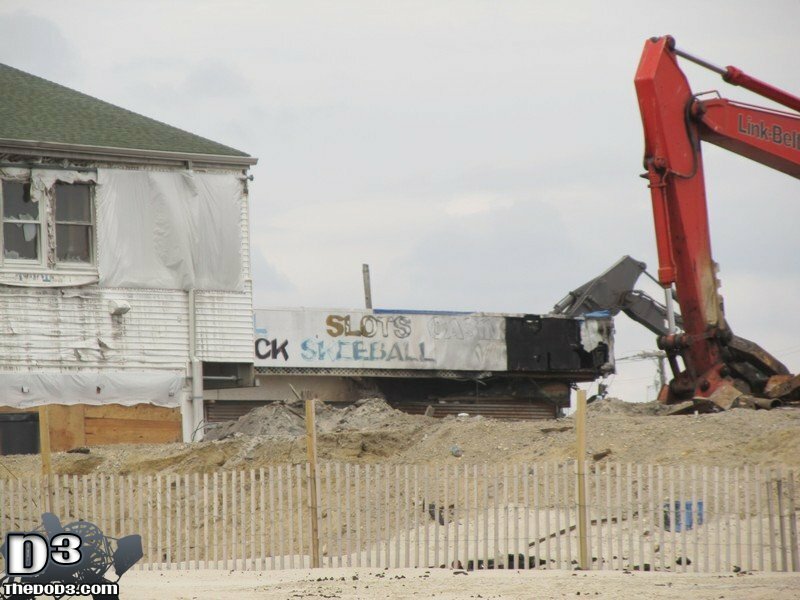 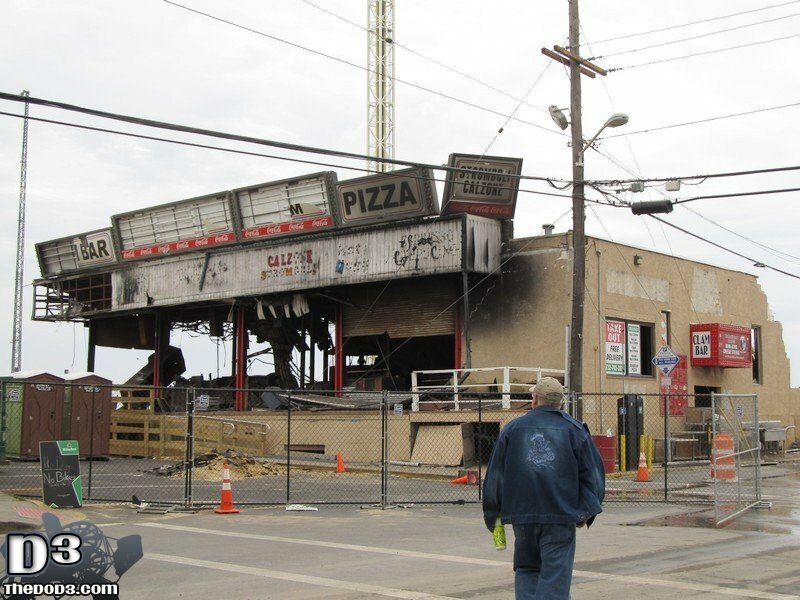 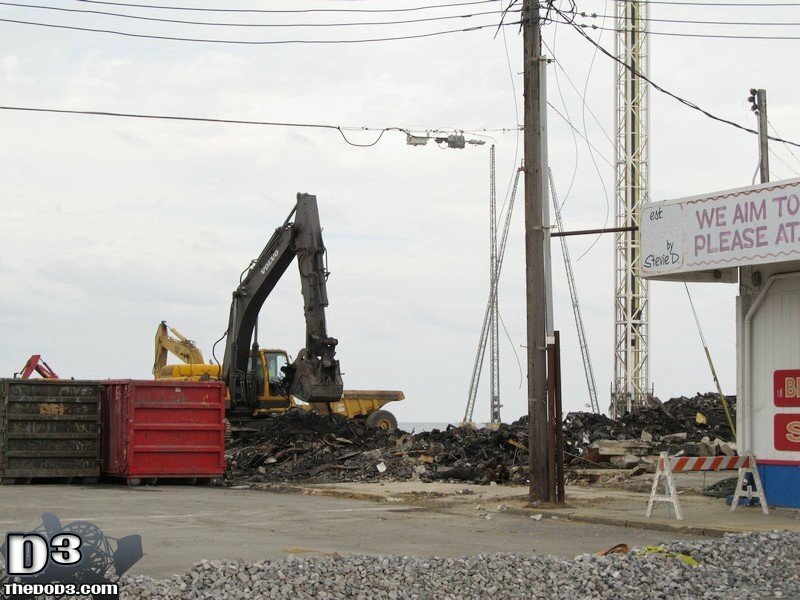 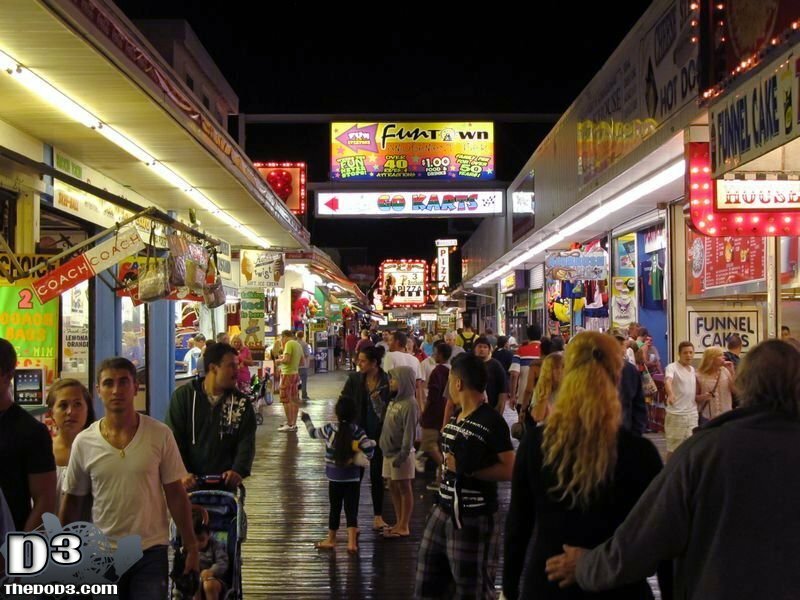 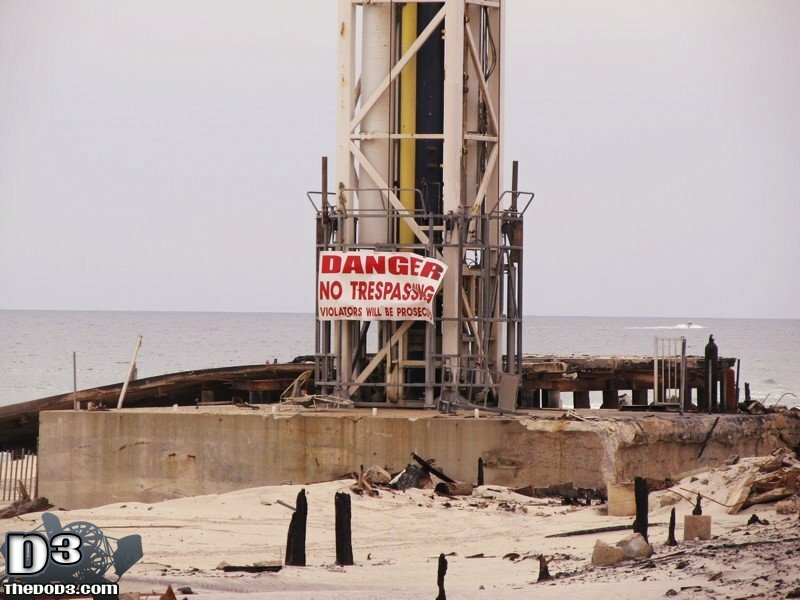 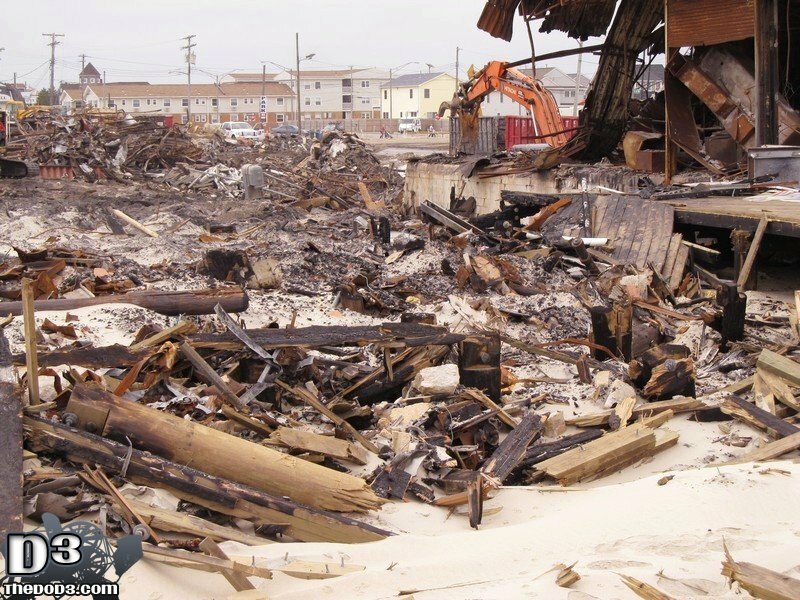 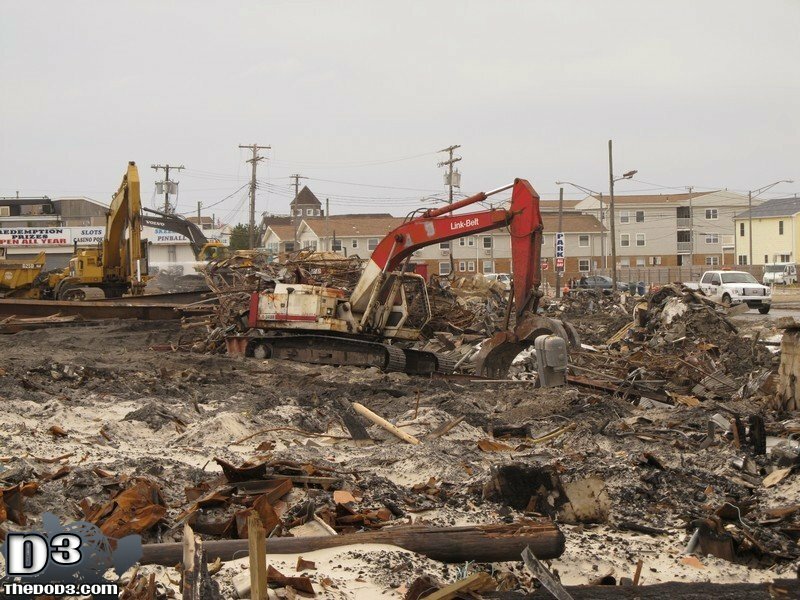 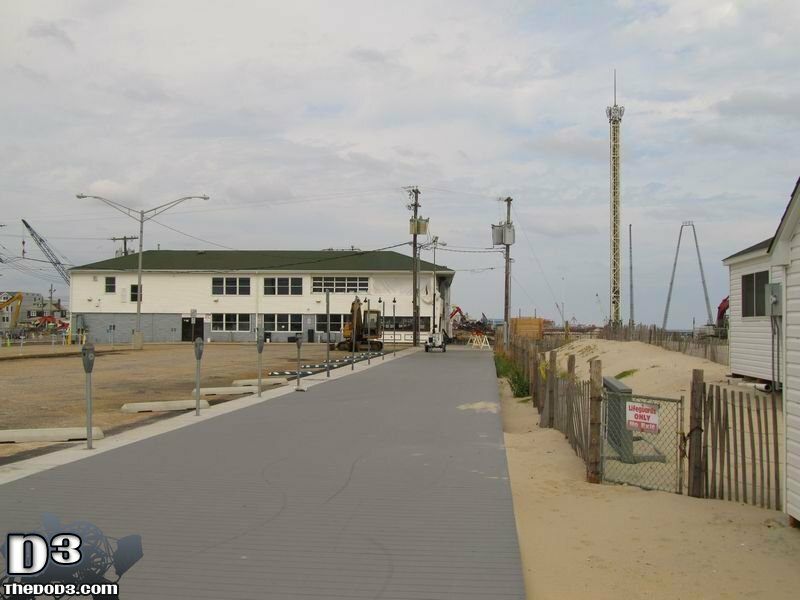 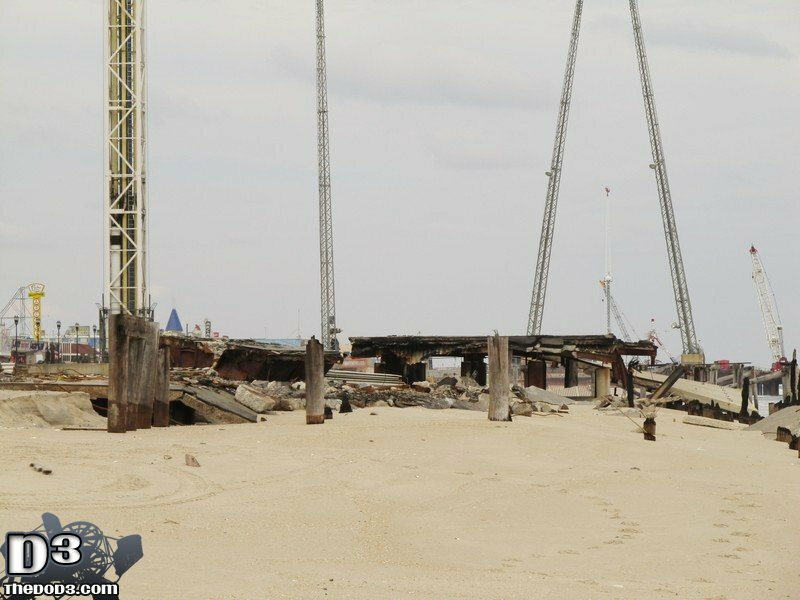 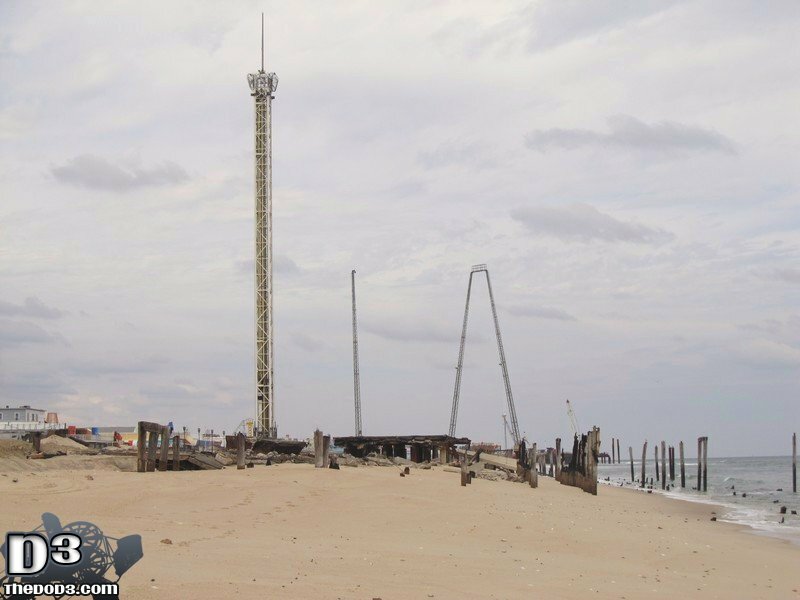 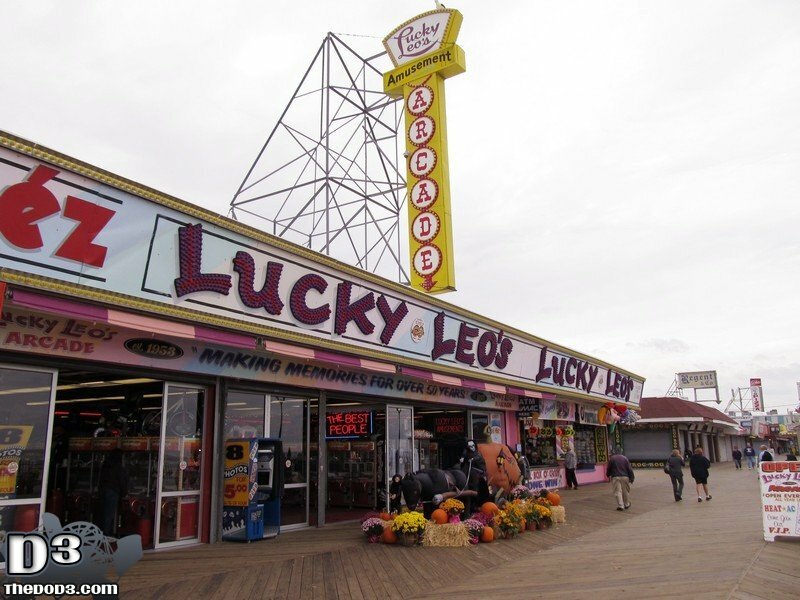 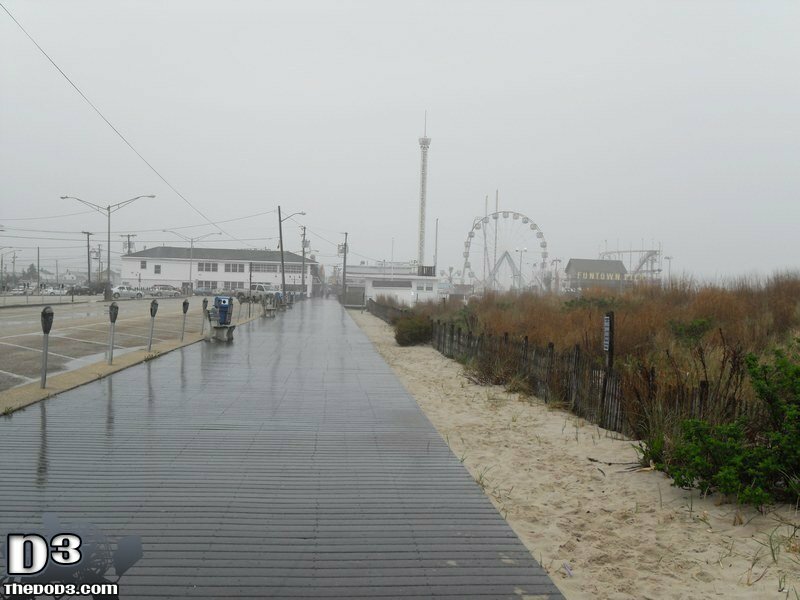 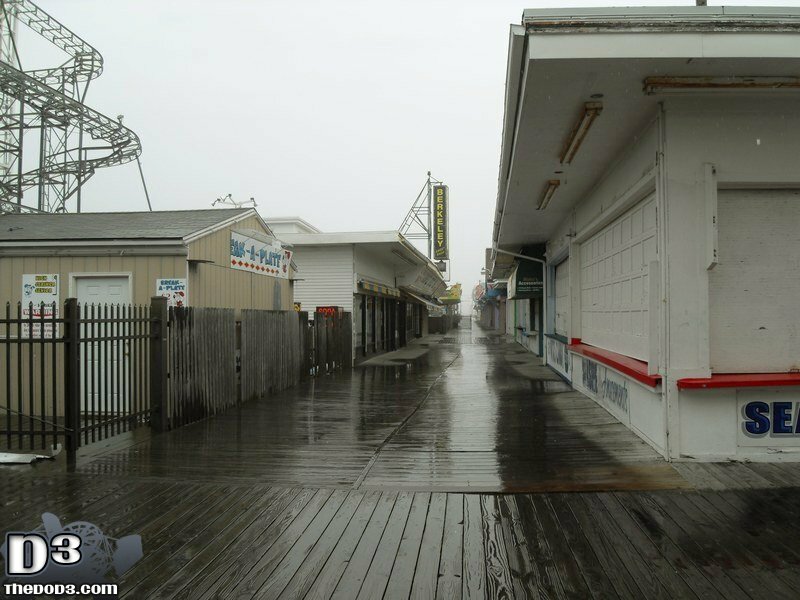 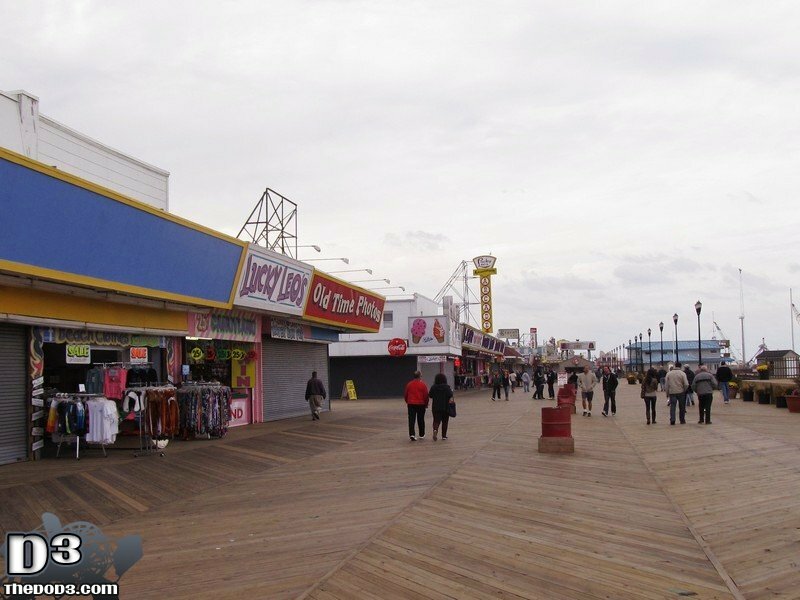 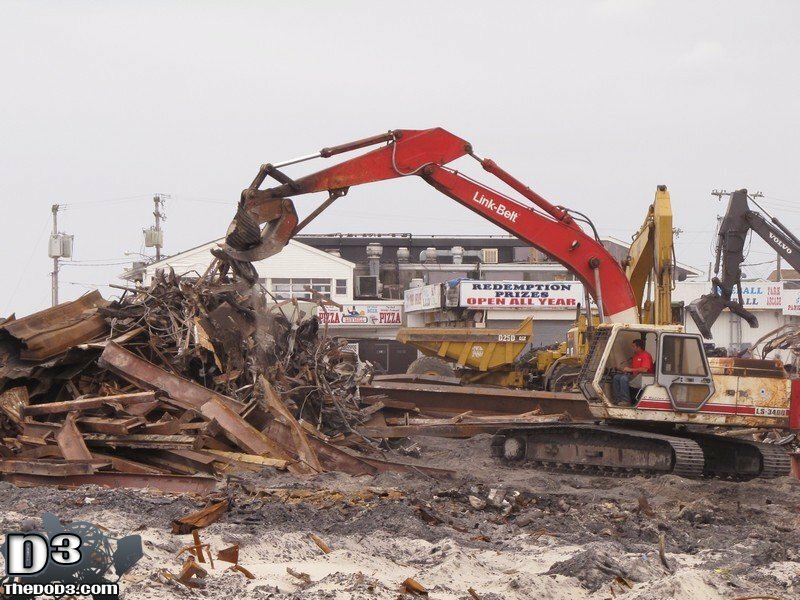 The area affected received somewhat minimal damage, save for Funtown Pier, during superstorm Sandy but was basically wiped out during the fire. 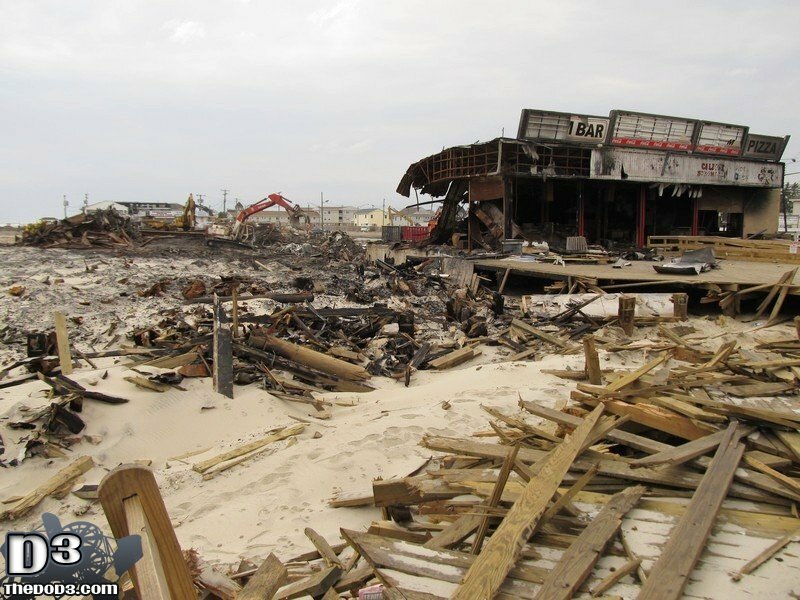 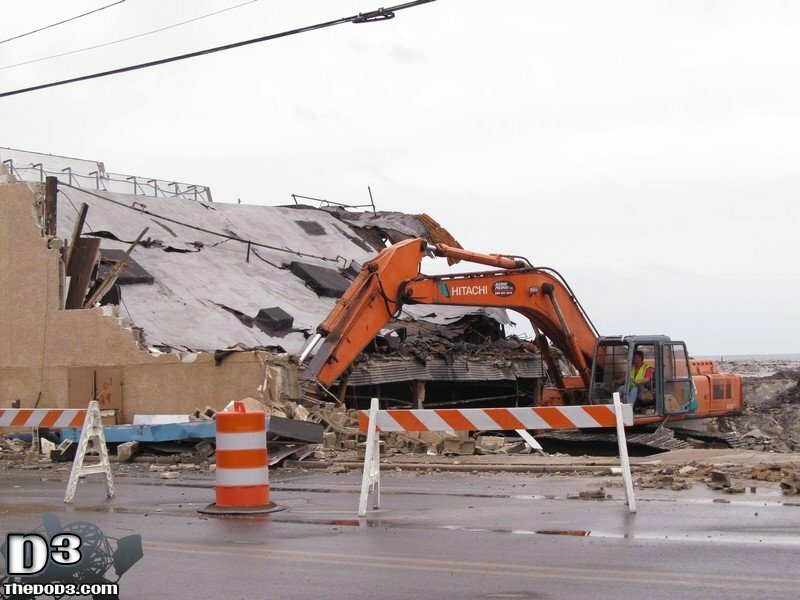 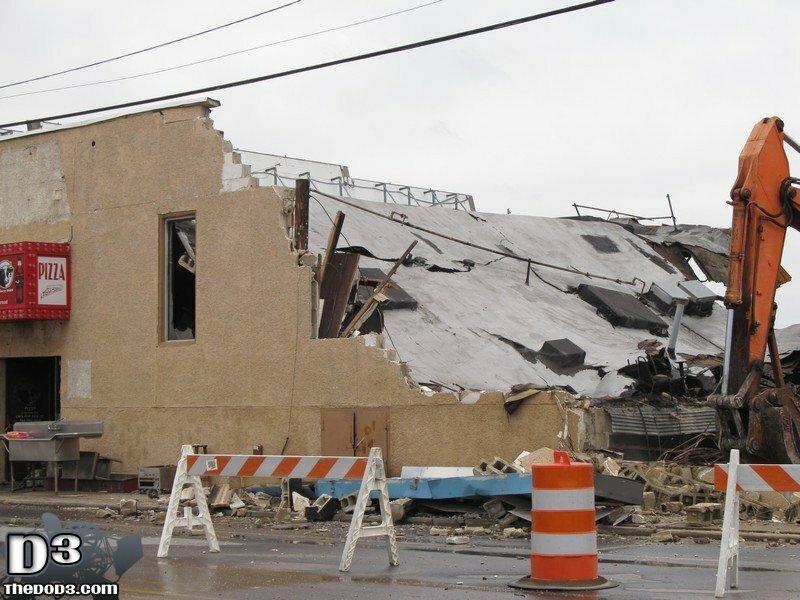 The only two structures that survived at the southern end were Funtown Park Arcade and Sawmill Cafe. 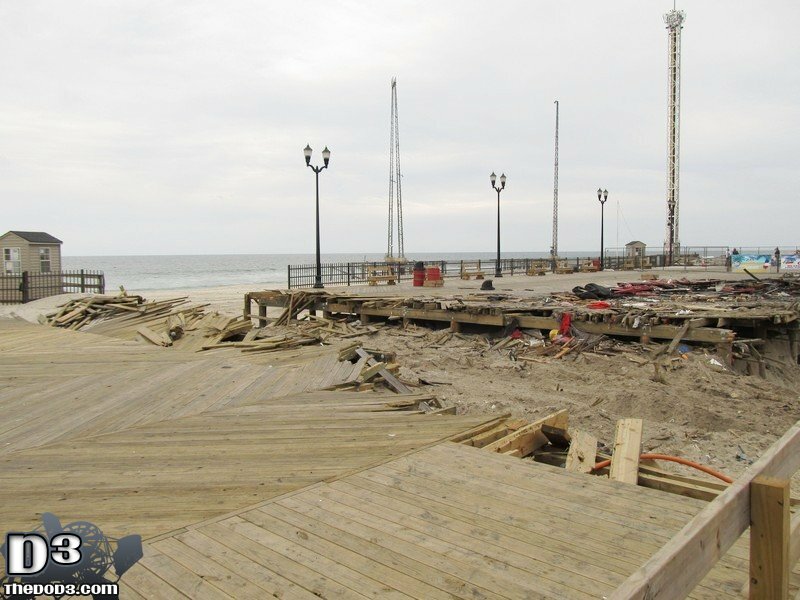 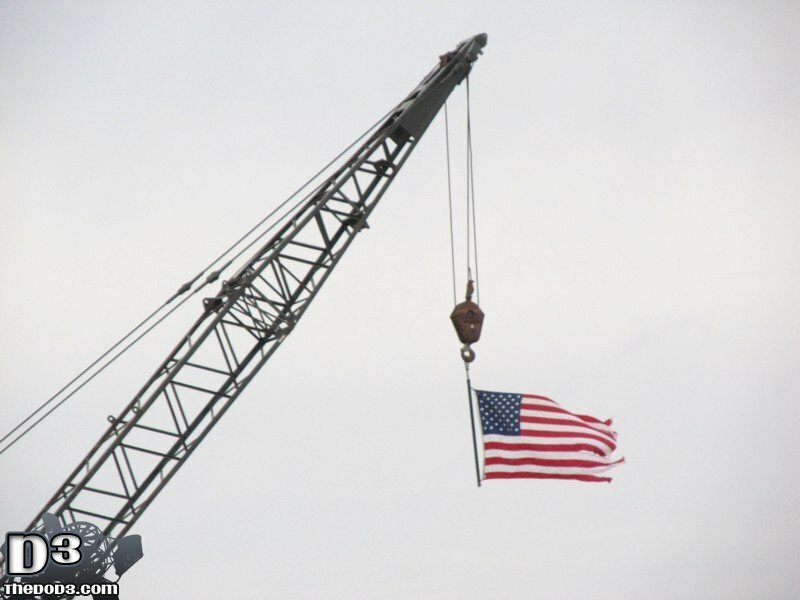 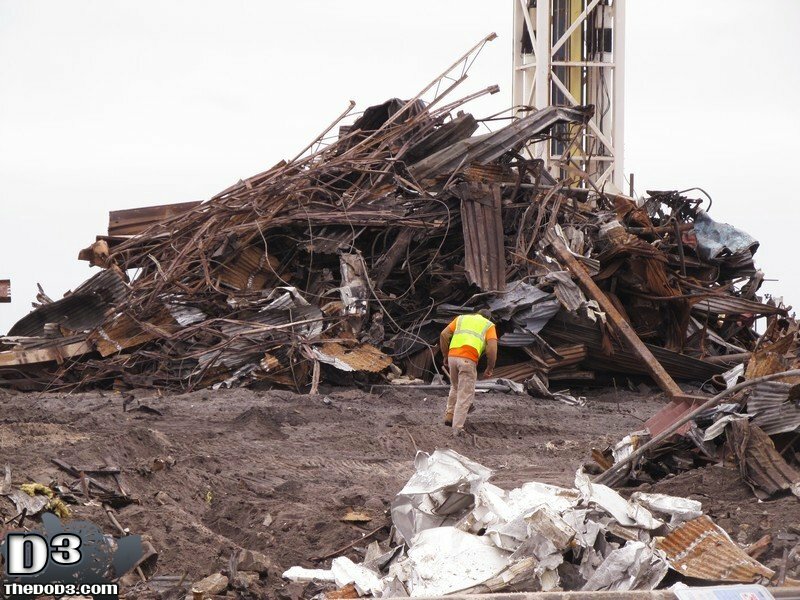 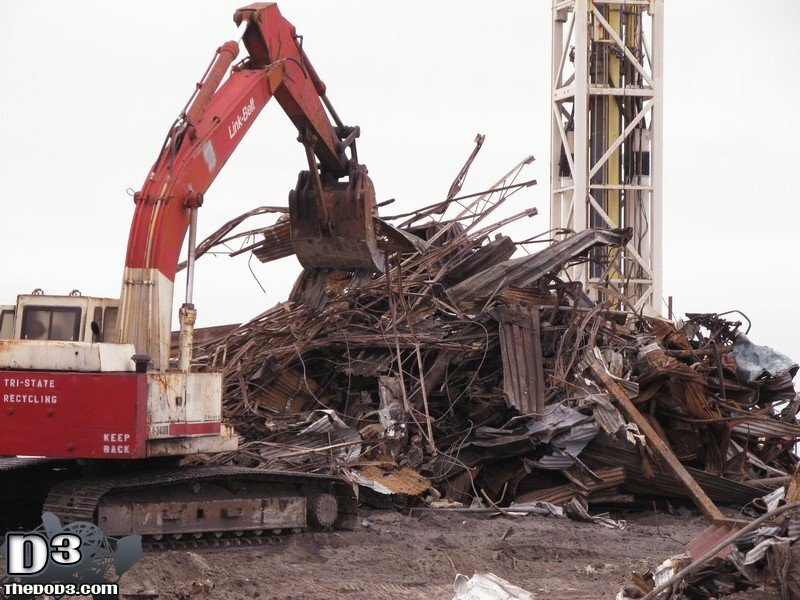 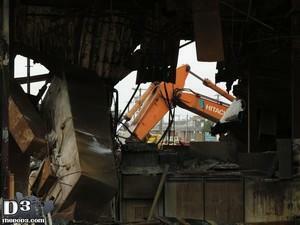 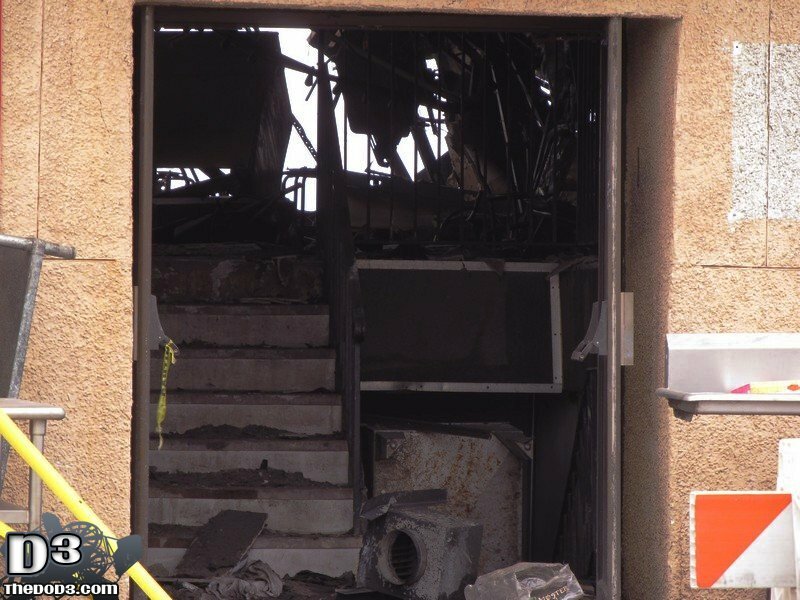 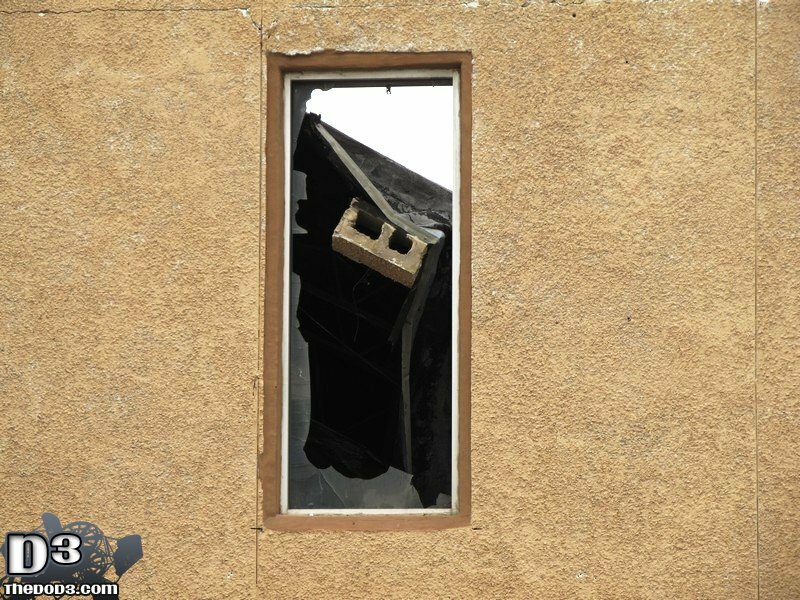 Cleanup should be done by next month and then comes the rebuilding process. 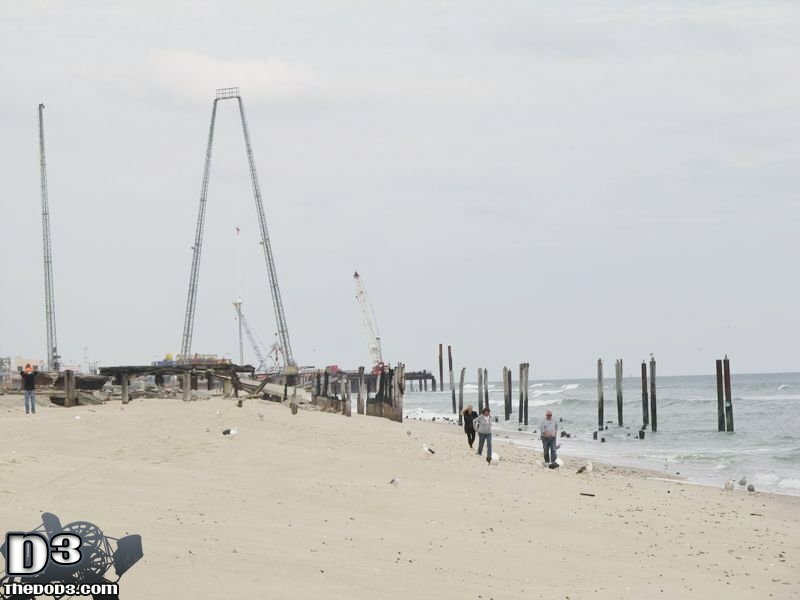 Despite two disasters now, Funtown Pier will still rebuild. 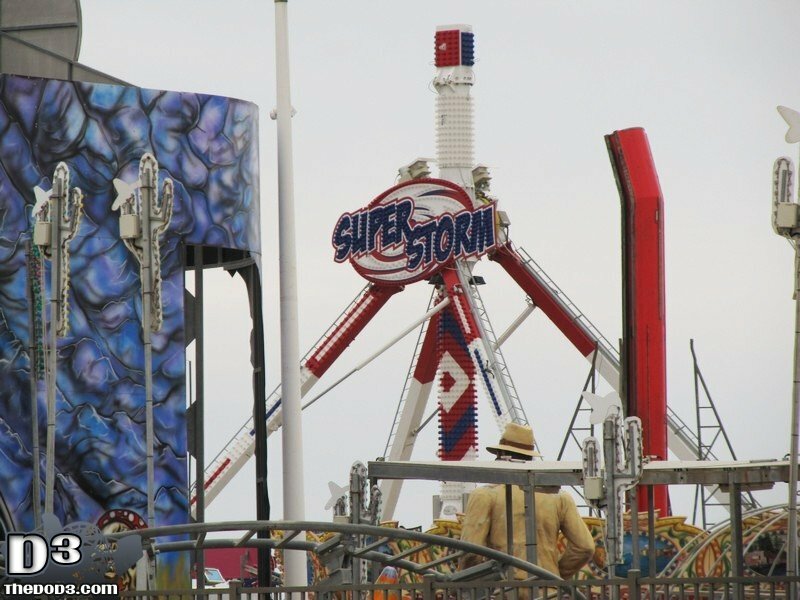 The original 2014 timetable is likely out the window now, however. 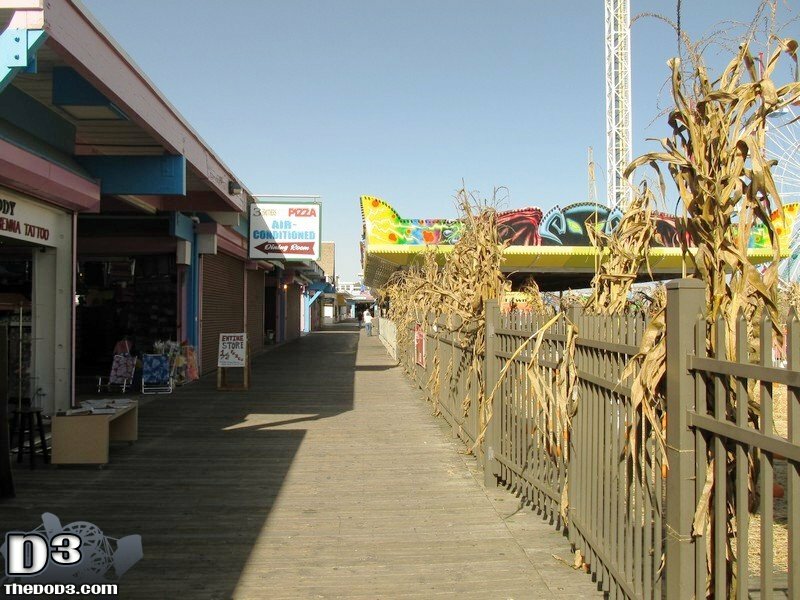 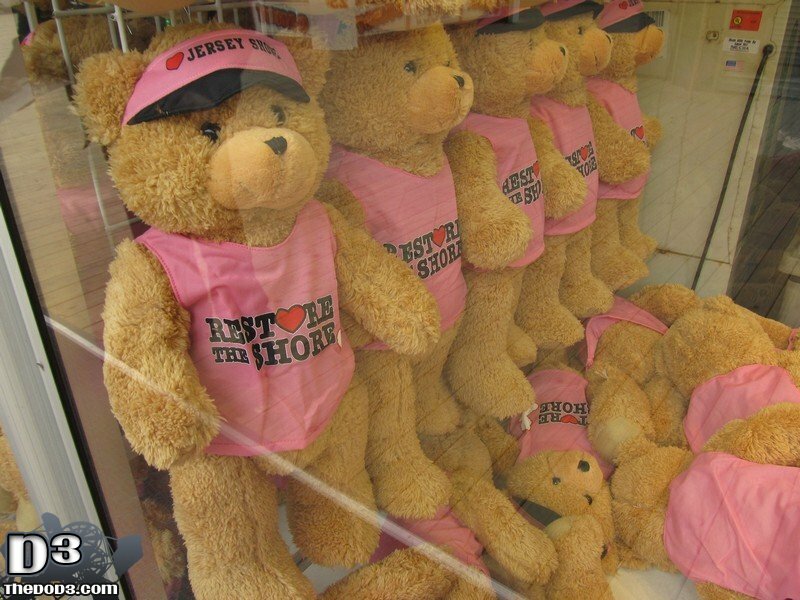 I took some other photos while on the Seaside boardwalk as well. 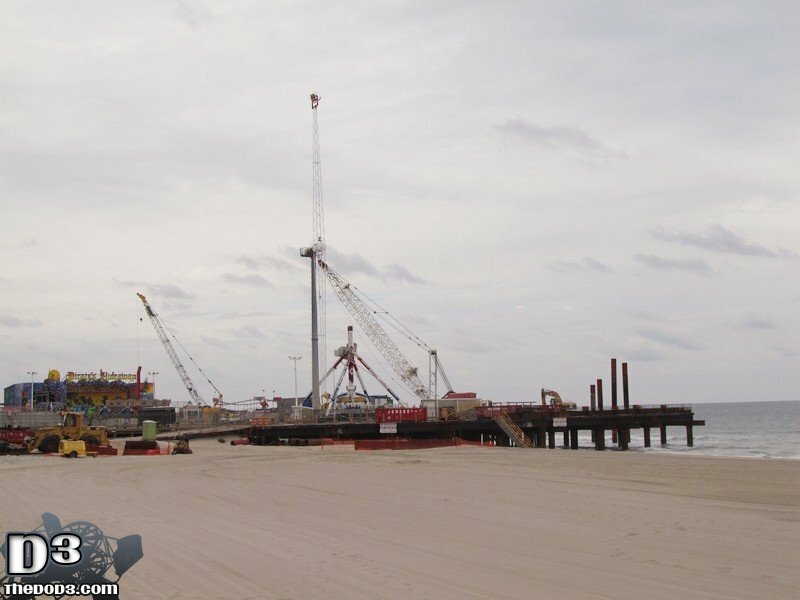 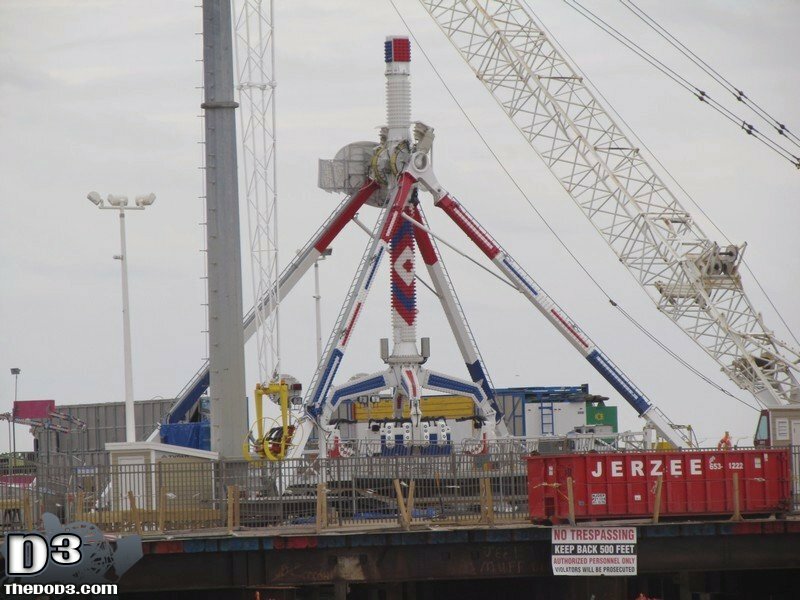 Construction seems to be moving along at the back of Casino Pier. 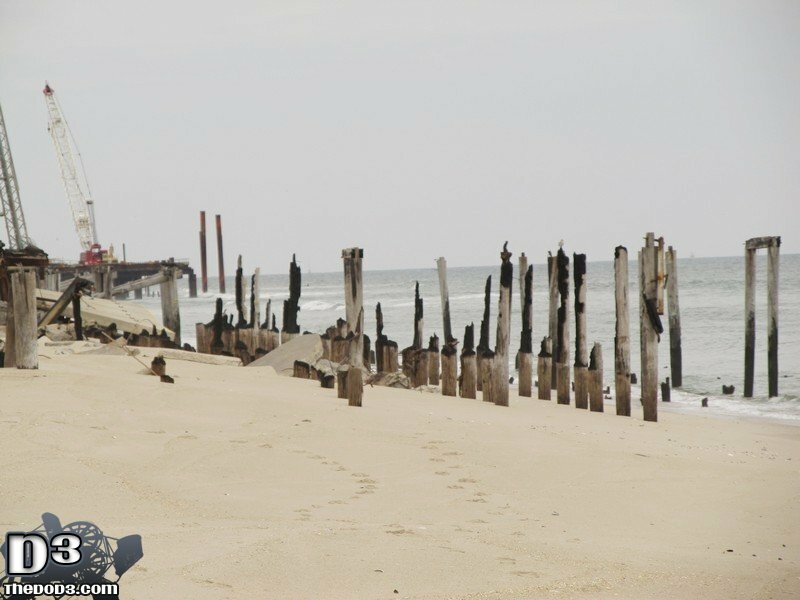 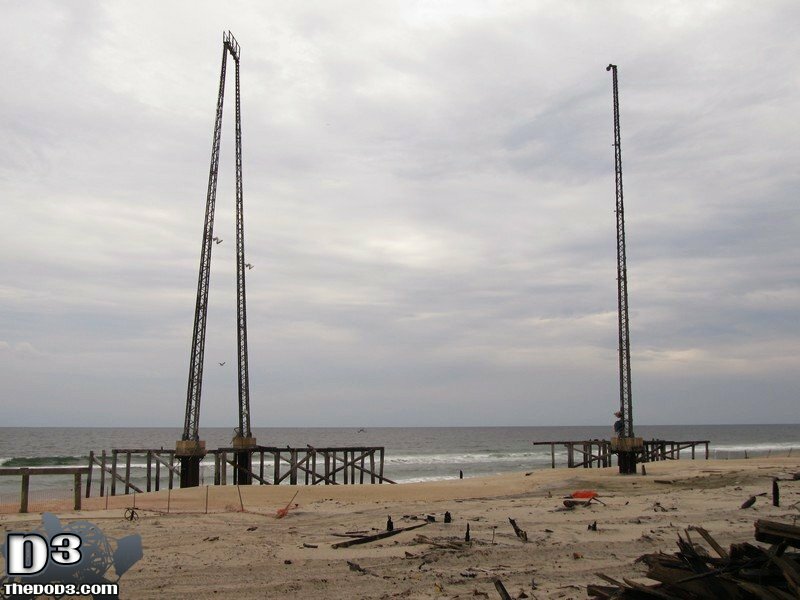 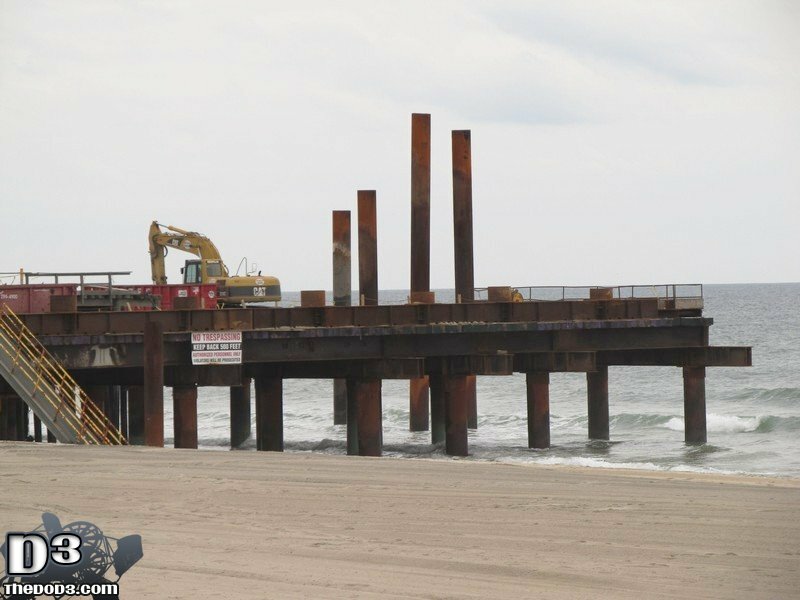 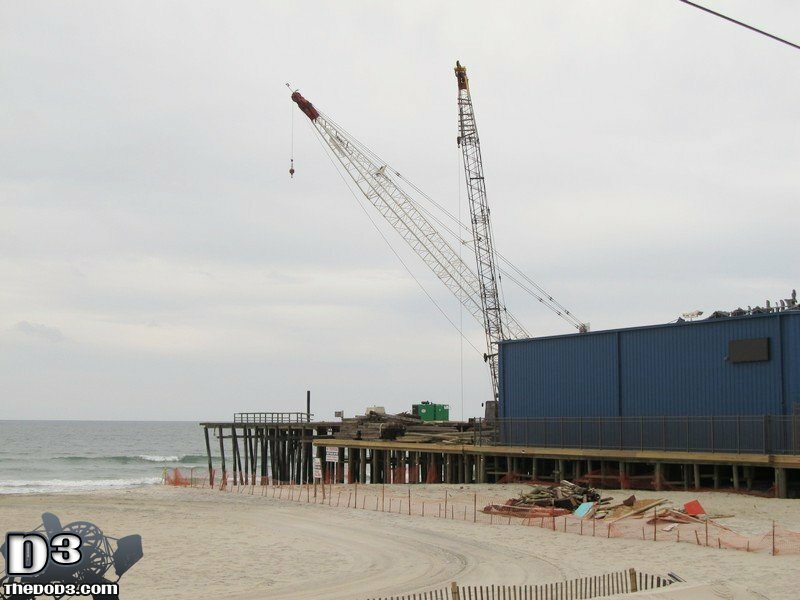 Prior to Sandy, the pier was held up by numerous pilings, now it looks like it’ll be held up by several thick supports.